No one wakes up in the morning and decides to defraud investors and charities of billions of dollars. Lots of small decisions lead to that outcome. The first compromise makes each subsequent compromise a little easier. As compromises are made, our individual skills as rationalizers grow. We reconcile our clearly unethical behavior with our intentions. The crutch of the weak, “the end justifies the means” invariably is used. Ethical conduct is best practiced in the small decisions each of us makes every day. 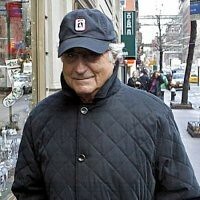 Bernard Madoff defends his early decision to enter into a Ponzi scheme by stating that “I felt compelled to satisfy my clients’ expectations, at any cost”. How noble. That is not a defense. It may be an explanation, an articulation of his rationale, but it is not a defense. It is the equivalent of saying “I’m guilty. Here are the irrational thoughts that were racing through my head at the time that I committed the original sin”. Everyone involved in the recently debunked mortgage derivative industry committed a similar sin. “Your honor, I knew the products we were packaging were not adequately capitalized, but I felt compelled to get my clients in homes which they rightfully could not have afforded by any means at my disposal” Harsh? Yep – but I’ll follow it up by saying that you and I both make similar kinds of decisions every day. Religion is not part of the discussion here – but we all fail. We all make decisions that compromise our principles to achieve an outcome. All of us – every day. The really interesting nugget is finding that quality which permits an individual to cross that line that turns a white lie into a black one. At what point did Bernard Madoff cross that line? I don’t know. What I do know is that the more times I allow my principles to be compromised, the more frequently I risk becoming the subject of a Jon Stewart self-righteous rant (I like Jon Stewart – but he is approaching the point where he risks becoming what he parodies). Laurence Lessig of Creative Common fame recently shifted his focus to corrupt systems. How timely. Unfortunately, I think he is tilting at windmills. Fixing the issue of large institutions which produce irrational and unethical outcomes requires us to fix the pieces and parts of those institutions. It requires that each of us taking personal responsibility for our own behavior. While I have nothing but respect for Lessig, if Jesus, Mohammad, Confucius and others couldn’t affect a large scale change in our behaviors – I don’t know how he can. So what’s the moral of the story? Treat every decision you make like it mattered. The next time someone asks you to compromise, consider the consequences. Compromise to accomplish positive outcomes – but don’t compromise your principles. Field Notes, Blog at WordPress.com.